highly refined pirate: shows, shows,shows!!!!!! 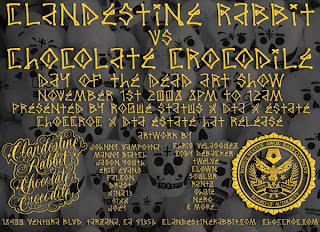 hey, i will be in a show on nov. 1st at Clandestine Rabbit tattoo in tarzana, check out the flier. also Chris "Devious" Gliebe will be traveling out from the midwest to have a solo show in long beach on friday nov. 7th at ddr projects in long beach. 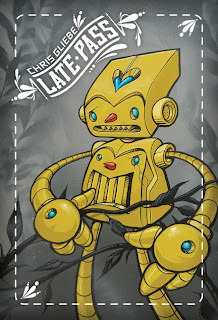 my good friend Greg "craola" simkins is having another solo show at gallery 1988 on thursday november 6th. and lastly, on saturday dec. 6th, my friend pablo put together a show, peep the flier.